In the weekend of the 9th, 10th and 11th of December the Zuiderduin Masters was being held. 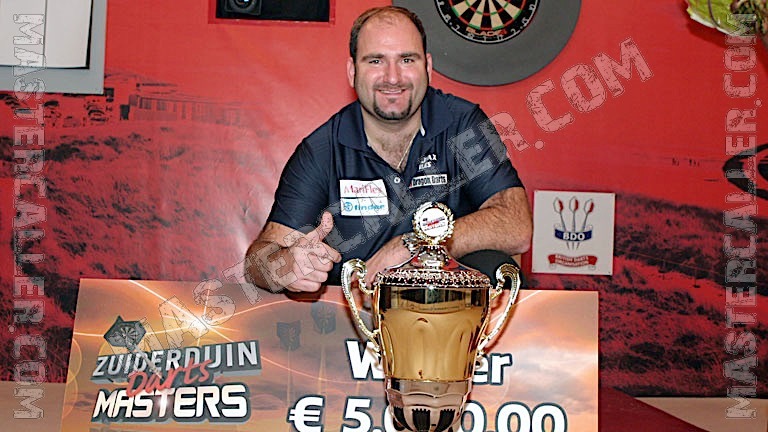 Scott Waites became the winner after defeating Darryl Fitton 5-4 in an outstanding final. Waites needed a deciding set in his semi-final against Martin Adams as well and sent Jan Dekker packing in the quarterfinals. Joey ten Berge and Jan Dekker played in the quarterfinals representing the Netherlands. Ten Berge lost to Fitton. The other semi-final was played between Darryl Fitton and Ross Montgomery, who defeated first seed Dean Winstanley in the quarterfinals. The number two seed, Gary Robson, disappointed and did not get through the group stage.